White House vet says Clinton has a very different perspective on Israel from Barack Obama's. For part one of this interview, click here. 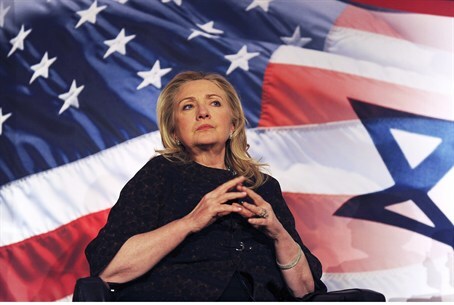 Is Hillary Clinton good for Israel? The centrifuges of questions have begun to spin as it were for Campaign 2016 in the United States, with both parties yet to nominate new figureheads as they try to replace the embattled Obama Administration. For American Jews and Israel, the big question is if the next administration – whether Democrat or Republican – will feel a freer atmosphere to criticize Israel and undermine the historically “special relationship” between the two countries, or whether it will seek to undo the damage wrought by an often downright antagonistic Obama administraction. Aaron David Miller is no stranger to the Clintons. During Bill Clinton’s administration, he was a quintessential player in Washington’s efforts to mediate between Israel and the Palestinian Authority. He has personally worked with Hillary Clinton in the past, and expects that if she does win the presidency in 2016, she can turn over a new leaf with Israel. The Clintons have a set political philosophy, explains Miller, where the narrative of Israel’s embattled position in the region is embedded in their foreign policy outlook. “She has all of the tropes and narratives. Obama grew up with a post-80s view of Israel. I’m not saying he’s an enemy but he doesn’t have the emotional attachment to Israel. I think her feelings are genuine and she’s not prone to fights with the Israelis. She was very uncomfortable with the President's settlement policy and didn’t like being the bad cop. "She refers to Bibi as friend and partner – that doesn’t mean there wasn’t frustration," he adds, but "she isn’t Obama and she wouldn't be Obama." If the public fighting has been so damaging, why has it gone on this long are gone so far? When asked by Arutz Sheva if the animosity could be measured as more personal or more rooted in policy differences, Miller says it is definitely both. Regardless, Miller says he always emphasizes how resilient the relationship is time and time again. While some have begun to question that notion, and he warns there is merit to advising against abusing the relationship, it is much bigger than any one president or prime minister. Is that Clinton’s challenge going forward? When asked by Arutz Sheva, Miller predicted her immediate move would be to stabilize things before trying to advance it. Would that effort be inhibited by a similar agenda that another Democratic White House might pursue? It likely depends on the issue according to Miller. Clearly, the Israeli-Palestinian issue was not resolved with an aggressive tone toward the Israelis. What is critical though is that Hillary Clinton would be starting off her presidency with a very different set of assumptions than Barack Obama did. That would be partially due to Clinton’s different ideological background on the one hand, and developments in the region since 2009 on the other. Comparing the Obama-Netanyahu relationship with previous presidential-prime ministerial fights, Miller says what characterizes this one besides its depth is its apparent fruitlessness.